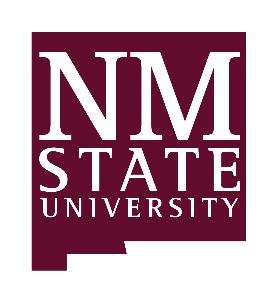 18.20 – University Advancement – Gift Income, NMSU Endowment, NMSU Foundation, Inc. This collection of Administrative Rules and Procedures (“ARP”) includes the rules and procedures (collectively referred to as “Rules”) duly adopted through the formal process authorized by the Board of Regents in Policy 1.10, Regents Policy Manual (“RPM”). This process includes development and vetting by the relevant University constituents, recommendation from the University Administrative Council (UAC), and review and final adoption or rejection by the Chancellor. The ARP’s purpose is to set and communicate the rules by which the Regents overarching policies are to be implemented, in furtherance of the efficient and effective management of the institution, and consistent with principles of shared governance. The Rules set forth in this ARP constitute NMSU policy, provided such Rules are consistent with the RPM. In the event of any inconsistency, the provisions of the RPM are controlling. In addition to the ARP, additional regulations related to matters uniquely within the jurisdiction of the issuing unit are authorized (Other Regulations). A listing of links to those additional regulations can be found on the University General Counsel (UGC) Web site. In the event of any inconsistency between any of the Other Regulations and the RPM or the ARP, the terms of the RPM and ARP are controlling.